In the more than 15 years since its publication, The 7 Habits of Highly Effective People has become an international phenomenon. 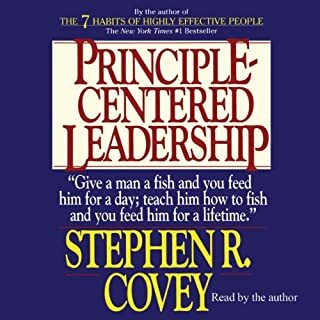 Tens of millions of people in business, government, schools, and families have dramatically improved their lives and organizations by applying the principles of Stephen R. Covey's classic book. The world, though, is a vastly changed place. The challenges we all face in our relationships, families, professional lives, and communities are of an entirely new order of magnitude. Being effective as individuals and organizations is no longer merely an option. But in order to thrive, innovate, excel, and lead in what Covey calls the new Knowledge Worker Age, we must build on and move beyond effectiveness. The call of this new era in human history is for greatness; it's for fulfillment, passionate execution, and significant contribution. Accessing the higher levels of human genius and motivation in today's new reality requires a sea change in thinking. The crucial challenge of our world today is this: to find our voice and inspire others to find theirs. It is what Covey calls the 8th Habit. So many people feel frustrated, discouraged, unappreciated, and undervalued, with little or no sense of voice of unique contribution. The 8th Habit is the answer to the soul's yearning for greatness, the organization's imperative for significance and superior results, and humanity's search for its "voice". This groundbreaking audiobook of next level thinking gives a clear way to finally tap the limitless value-creation promise of the Knowledge Worker Age. 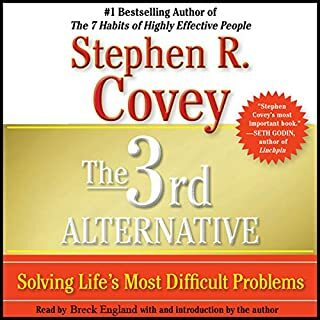 Covey's new audiobook will transform the way we think about ourselves and our purpose in life, about our organizations, and about humankind. Just as The 7 Habits of Highly Effective People helped us focus on effectiveness, The 8th Habit shows us the way to greatness. NOTE: On the cover and in the introduction, the audio mentions that a free bonus DVD is included. 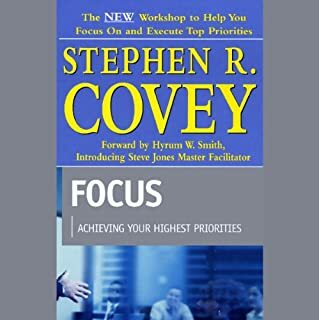 It is NOT included with this audio; however, you're able to stream the content for free after signing up at the following FranklinCovey website: www.StephenCovey.com. 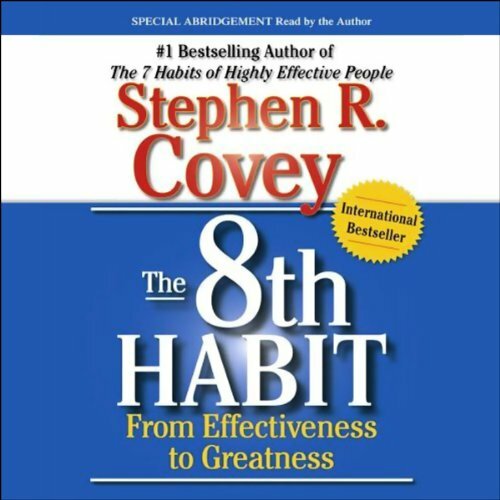 Listen to Stephen Covey's groundbreaking The 7 Habits of Highly Effective People. I am a professional leadership teacher and speaker. I have studied leadership for 10 years. Once every few years a book comes along that raises the understanding of even the most avid student of leadership. This book accomplishes that task and more. Honestly, I have found most of Stephen's books since 7 Habits to be somewhat prosaic. This book is something entirely different. I urge you to not just get the audio version, though. Invest in the book and then digest the book. The re-reads contain many defining moments for students, parents and business leaders. Upfront, I'll admit to being a big fan of Stephen Covey. That said, I wouldn't consider myself a disciple or anything and I think I can write an objective review. This is without a doubt, life changing material for those who are ready to understand it. The 8th Habit is all about taking us from independence to interdependance on a whole new level. I found it to be particularly relevant for today's world and today's challenges. I'd definitely recommend it. Inspirational stuff as usual from Stephen Covey. No short cuts, no quick fixes but some great advice on how to achieve great things. Not just thought-provoking, also action-provoking, a guidebook for living. Covey also has a good voice for delivering his work which makes the book very enjoyable listening. 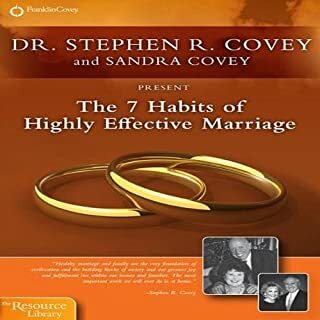 I liked the Seven Habits so much that I listened to the audio book twice and read the book once, so I was really looking forward to the 8th Habit. Unfortunately, it was so bad that it hurt my respect for Covey. First off, as other's have noted, it's a watered down rehash of the 7 Habits coupled with lots of nebulous talk about "finding your voice". Second, half the time I had no idea what he was talking about as the book is so laden with meaningless business speak (working at a higher level, exercising true leadership, finding a new paradigm, coping with the knowledge worker age and on and on and on). By now, I have Covey's (preachy) formula down pat: 1. read a vignette (in an overly earnest fashion) about some mystery individual overcoming adversity, 2. talk about how it fits some numbered principle, 3. relate the principle to the teachings of the great books and minds of yesteryear and 4. invent a cute little word pneumonic to go with it (intimate means "look into me"). I would recommend sticking with 7 Habits and never touching this book. Another good book in this area that's high on substance and low on fluff-speak (as in zero fluff-speak) is Man's Search for Meaning, probably the best book I've read in the "learn about life" category. Actually, I've moved completely away from books written by self styled "leadership" teachers and into biographies about leaders handling difficult situations (The Last Lion (Churchill), Lincoln, Washington, etc.). I've learned about a hundred times more about life and humanity from Founding Brothers and Team of Rivals than I did from this book. Thumbs down. The previous book of 7 habits was to make you effective. The 8th habit goes further by helping you to lead others so they become more effective as well. It pushes the principles further from people to organizations. Something is repeated but new perspectives are added or more interconnections explained. It suggests new tools for empathetic discussion, leading communication in a way so you are able to uncover synergies and how to lead companies or communities towards greatness as well. – Values are like fingerprints. Nobody has them the same but you leave them on everything you do. – A range of what we can do is limited by what we fail to notice. – Intuition tells the thinking mind where to look next. – The problem is never how to get new innovative ideas into mind but how to get the old ones out. – Discipline is the price we pay for making a vision a reality. – Low trust is the greatest hidden tax. – Trust is glue of life. Trust is a glue in a company. – Lying make the problem part of the future, truth make the problem part of the path. – You can not hold people responsible for results if you supervise their methods. Phenomenally good book. Certainly the best 'self improvement' book I've read in the past few years. Covey has really done taken his work to a new level of excellence. The unabridged version of the book is long, but it has to be taken chapter by chapter - which is manageable. I would recommend this book to anyone who wants to analyse his/her own position in life and try and balance different goals. The practical steps outlined in this book makes it possible to do so. Good luck to anyone to steps out on this wonderful journey! This is a good, not great, follow up to the 7 habits. 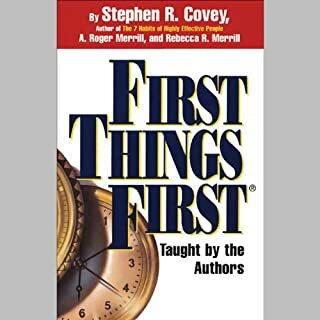 Dr Covey doesn't just rehash the principles of his "7 habits" in this book, and this is not just "cashing in" on that earlier success, for there is real value here. It is a bit long to the point however. Assuming you are a believer in the original 7 habits, and have found these habits effective, does the 8th require such a sales pitch as this lengthly text provides? Overall it is worth the time, but I wish I could have saved some. Dr. Covey has done it again! He has distilled the wisdom of centuries of philosophy and religion with the pace of rapid changes since "The 7 Habits" was originally published. "Find your voice, and inspire others to find theirs." Achieving this habit requires total integration of your self, a skill that is always being developed. It relies on, and intertwines throughout the seven habits of effectiveness like a DNA helix or spiral staircase. 8th Habit and the gaps for the 7 habits filled. Yes there are good ideas in this book and I applaud what the author is trying to say, but oh dear is it tedious to listen to. This is one book I wish I had bought in hard form so I could skim the repetitive and really not very interesting bits. I havent read the abridged version. It may be better. Too long, not enough information. I gave the 7 habits 3 stars due to taking forever to get to any point, this takes the wait to the next level. Avoid this and pick up a book that you can flick through if you really want to see what's in this. Having listened to the 7 Habits via Audible, this was a good follow up. It touched on elements from the 7 Habits, but introduced the 8th habit fully. Like any of these books, to really benefit from their insights, you must be willing to accept and assimilate the information into your life. Worth a listen though- several eye opening sections. a rather long audibook, but I liked it because it conveys the message of how to be effective in this information age. some of the concepts of industrial age are no longer valid, but we still unknowingly carry on. Loved this book. It really added a lot to the 7 Habits literature and wasn't just a review of the same material. Thought provoking, life changing potential and perfectly delivered by the master himself. One of the greats to pass and so thankful for the knowledge he shared. helpful insightful simple techniques that I can apply in my family, work and social life. While recapping concepts from the 7 habits this book reinforces and provides the next steps in practical application. If you liked the 7 habits you will enjoy this. Covey narration an excellent touch. To know and not do, is to not know at all... Now I need to find my voice, to apply these principles, inspire others and teach what I now know. a little long but I feel I'll listen to it again to try and soak in the information.. 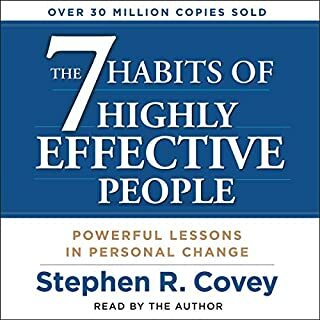 I've listened to the 7 habits and this follows it fairly well.. it feels like a fantastic achivement to get through a Covey book. think I'll read a short one before tackling his next big title. Loved it, lots of great new lessons that reaffirm the 7 habits and bring them into the new age. So many things to ponder and implement truly life changing and life saving. Thank you for this awesome audio book.